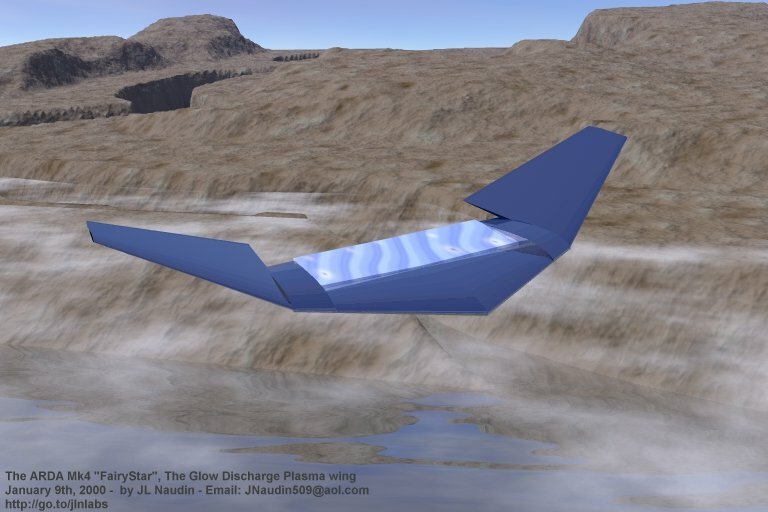 The ARDA Mk4 "FairyStar" is the begining of a new serie of flying wings which uses the OAUGDP technology ( One Atmosphere Uniform Glow Discharge Plasma ). 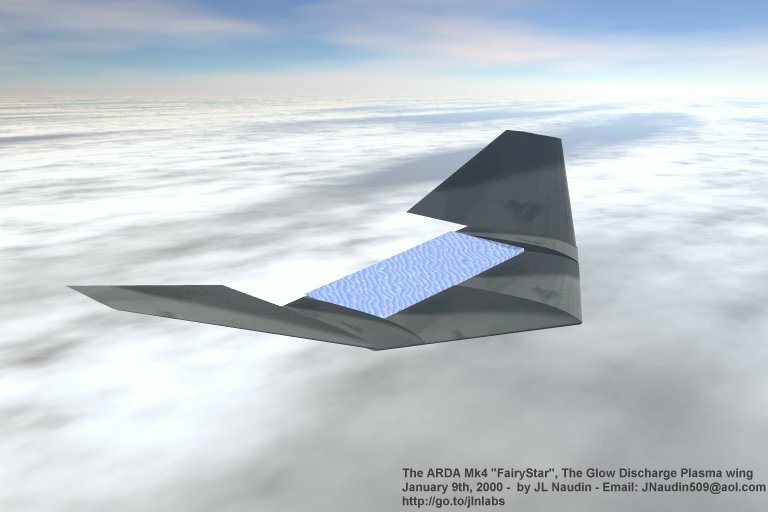 This is a first step towards a design of the full scale GDP Wing profile which will be used in a future ARDA Flying wing. 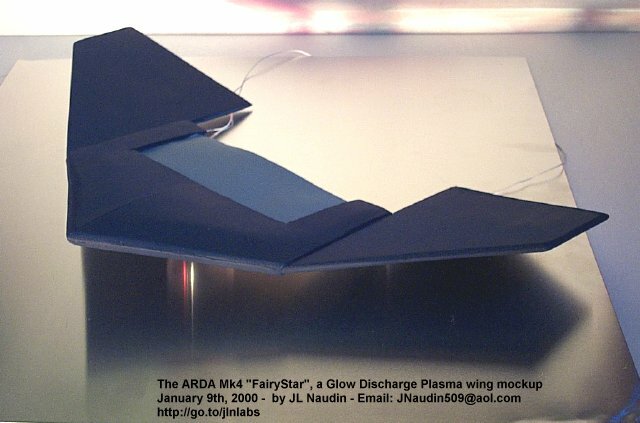 In the ARDA "FairyStar" design the wing uses a OAUGDP panel as a thruster covered by a glow discharge plasma at high voltage and at high frequency. 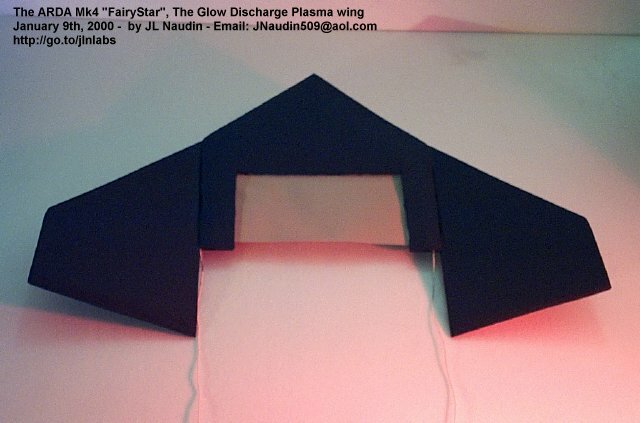 A kind of GDP panel has already been successfully tested by the NASA Langley Research Center by Roth and Wilkinson and a full report has been presented during the 36th Aerospace Sciences Meeting in Reno (January 1998) and also in my lab on December 21th, 1999 ( see the Glow discharge plasma skin tests ).